Tian Yu, 33, runs a media company in Beijing and her husband is six years younger than her. In addition, he is caring and handsome, which has made Tian's unusual marriage the envy of all her female friends. During the recently passed Singles' Day, Tian has once again become the relationship guru that her female friends consult relentlessly on the subject of how to snag fresh meat (a young, handsome man). "They said that my husband is young, handsome, considerate, caring and comes from a good family, so how can an 'old woman' like me get him to marry me and love me?" Tian laughed. "It was me who hit on him first. I agree he is a great catch, but I am not half bad myself, and my age does bring certain advantages," she said. On October 31, 2017, South Korea stars Song Hye-kyo and Song Joong-ki got married. Song Hye-kyo is four years older than Song Joong-ki. The marriage has once again brought the public's attention to older women and younger men who are in relationships or married. Recently, another star from Taiwan, Elva Hsiao, became the target of the public's envy for dating more than 12 dashing younger men over the past 20 years, with some of them being more than 10 years younger than her. Internet users said that if Elva Hsiao ever writes a book on how to land fresh meat, they will definitely buy it. The traditional marriage combination of an older man and a younger woman is now changing, and marriages between younger men and older women are becoming more accepted by society. According to a report by the Xinhua News Agency in November 2017, Li Chunling, a researcher from Chinese Academy of Social Sciences, did a survey on the subject, and the result showed that older woman marrying younger men has increased from 14.37 percent in 2000, to 40.13 percent in 2010. While the traditional combination of an older man and a younger woman has dropped to 43.13 percent from 68.09 percent during the same period. Tian and her husband met when Tian was out playing tennis with her friends four years ago, and she was swept away immediately when her eyes landed on her now-husband. "He is so handsome, so I thought to myself that I had to know him and have a relationship with him, even if it's just physical," Tian laughed. Tian recalled that when she was younger, she was very shy and believed that women should be passive and withhold their feelings, believing that was part of a woman's charm. However, as time went by, she understood that the key to her happiness is in her hands, and she does not have to wait around for other people to be proactive. "When people reach a certain age, they can directly face their desires and actively pursue what they want," Tian said. Tian followed her now-husband to the bathroom and asked for his phone number. "If I ask him out, I will at least have a 50 percent chance of going out with him and if I don't, the chance would be zero," she said. Apart from being proactive, Tian also believes that to win over fresh meat, how you look is important. "You can be older, but that doesn't mean you can just give up on your appearances," Tian said. "I am not a very beautiful woman; I know that, but I care about how I look all the time. Even when I just go to the street to have some barbecue, I still wear a dress and put on makeup," Tian said. As Tian's proactive attitude and her upkeep on her appearance already gives her a head start, her ample life experiences and relationship skills are the finishing touches that helped her bag some fresh meat. Tian was a journalist for seven years before she opened her own media company. For the past decade, she has encountered more than her share of life stories in reporting and in her own personal life. "He was very curious about my job as a journalist, so I told him about reporting earthquakes in Sichuan Province, sleeping in the prairie with wolves just outside my tent and meeting famous NBA stars. He was very intrigued by my life experiences," Tian recalled. "To me, age is not a disadvantage; it has brought me more life experiences, and makes me more interesting of a person, which is more attractive to men and allows you to have more things to talk about," she said. Then, Tian and her fresh meat went out several times for drinks and established their relationship. According to Li, the rising trend of older women marrying younger men reflects a deeper social structure shift in China rather than simply chemistry. "The combination symbolizes equality in the social status between men and women," Li said in a Guangzhou Daily report in September 2017. In a traditional marriage, it is a norm that the man is the breadwinner of the family, Li said in the report. In addition, men are the main force in their family and in society, and women are just a supporting player. Men are strong and women are weak. 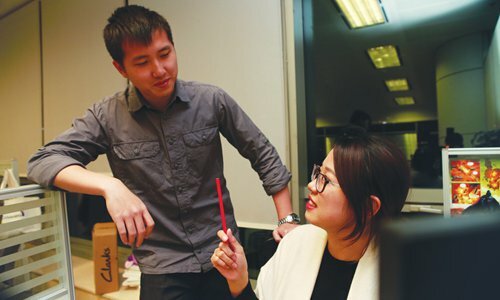 "Now, as more women receive high-level education and have better career development opportunities, the social and economic status between both sexes have changed and so has women's choices for dating and marriage," Li said. "So some of the women conform to the changes and find younger men instead of older men with a better social and economic status." Russian Satellite Network connected the change to the urbanization process in China. In the urbanization process, more people are practicing "brain work," where men's physical advantages are gone, women and men have the same playing ground and can both be just as successful in their careers. So women no longer need a rich husband to provide a life for them and protect them. Linda Zhu, 31, a PR manager at a high tech company in Shanghai, just got married last month to a man who is four years younger than her. "For this generation of women, we have the ability to provide a good life for ourselves and even support a family, so we just want love and passion, which have nothing to do with age and money," she said. "Men and women are equals, and we are looking for a real partnership where we can both support each other." According to Zhu, many of her friends, female and male, do not think about age differences when it comes to finding life partners. However, relationship counselor Laoyao, who is based in Beijing, also pointed out that there are some difficulties associated with this combination. 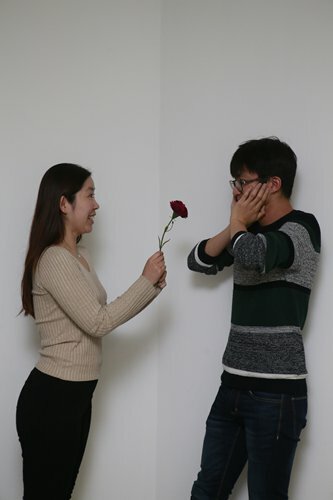 "Women are psychologically more mature than men of the same age, and with the age difference, it would be more likely to create communication difficulties between the couple," Laoyao said. "For the long term, the best combination is two people who are at the same psychological development stage." Su Juan, in her 30s, is the CEO of Her Style, a social media community for women. She has dated a few men who are younger than her and some who were older than her. In comparison, she prefers to date fresh meat. "I click better with younger men. They are simpler and being with them brings me back to simpler times," Su said. "You don't have to use many skills to poke around with younger men to figure out what they are thinking or where the relationship is going; younger men are more candid and real." According to Su's observations, many younger men are attracted to older and more mature women nowadays. "Older women are better at communication, maintaining relationships and are more interesting, confident and considerate to their partners, and those kinds of characteristics are what attract younger men," Su said. "Besides, some younger men also have sexual fantasies about older women, since they consider them more mature and skilled." While older women enjoy the positive qualities their age has brought them, older women also are less likely to look old as quickly nowadays. "With the development of cosmetic technology and healthy lifestyles, women can hold on to their youthful looks much longer," Su said.